The kahuna lāʻau lapaʻau (Ancient Hawaiian Healers) and the ʻōlohe lua (Hawaiian Martial Arts Masters) performed Lomi Lomi massage on their Kings with great prayer and intention. Practitioners channeled Mana: allowing the healing energy of the islands to flow through them. Lomi Lomi was passed down from generation to generation. Lava stone (Pohaku) has the power to create life, and to heal. 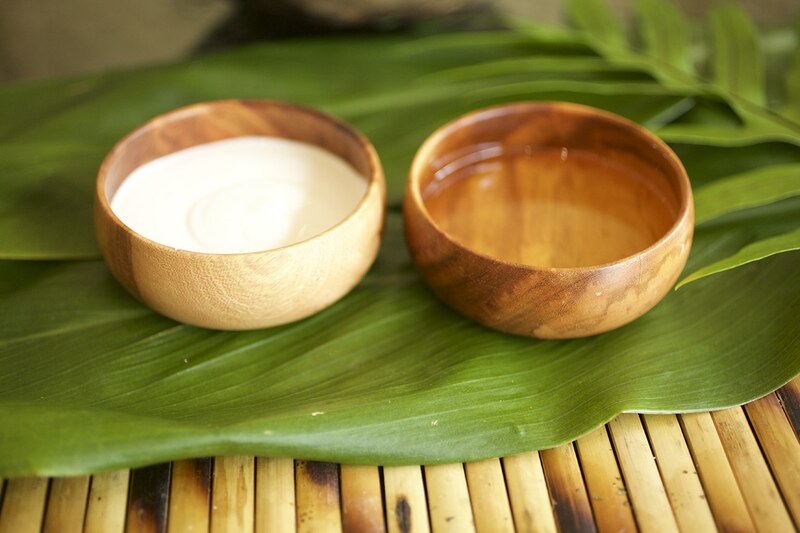 Smooth lava stones are warmed while your skin is infused with kukui and coconut oils. Kukui nut, growing wild on Kauai, acts as an emollient to excite your skin, while the sensation of cool coconut oil tingles against the healing heat of the lava stones. This sensual experience increases circulation and expands joint mobility. 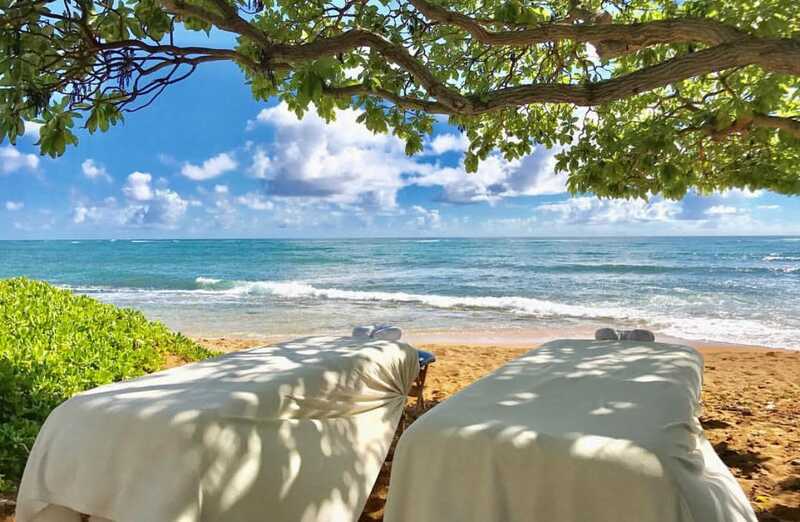 Take any one of our massages outside, to the beach. Breathe in the rhythm of the gentle waves, let the tropical sun warm your skin and allow the Mana of the ocean to flow to you. This option is weather permitting. Focuses on realigning deeper layer of muscles and connective tissue. Releases the chronically tense and contracted areas such as stiff necks, low back tightness, and sore shoulders. This classic and proven technique detoxifies the superficial layers of muscle using long strokes, kneading and friction. 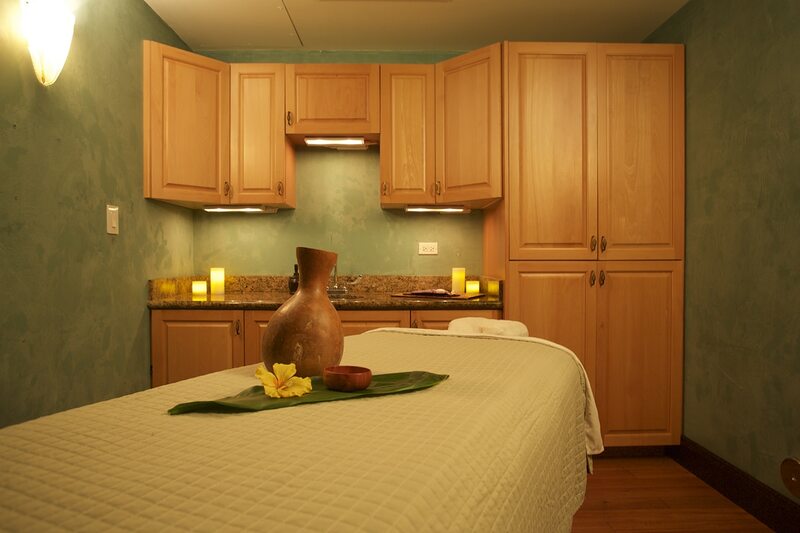 You will be rejuvenated as circulation is restored to the skin, which will glow with your natural energy. Thai Massage is an ancient healing system combining acupressure, Indian Ayurvedic principles, and assisted yoga postures. Traditional Thai massage uses no oils or lotions. The recipient remains clothed during a treatment. There is constant body contact between the giver and receiver, but rather than rubbing on muscles, the body is compressed, pulled, stretched and rocked.